In my hand I am holding a small pin bearing the presidential seal and George H.W. Bush’s name written on the back. It was a gift for the work I had done on his White House advance staff. Louise Butler is a retired teacher, college professor and a published author who lives in Edinburg and regularly writes for The Monitor’s Board of Contributors. I met President George H.W. Bush and his wife, Barbara, just once. It was 1992, Bush had been president for four years and was in a campaign against Bill Clinton. I had spent a lifetime working for Republican campaigns and had slowly moved up the ranks from walking door to door for Goldwater in Greeley, Colorado to looking up names and making calls in Florissant, Missouri, all the way to the state speakers’ bureau for Reagan-Bush, and finally as an aide to the White House advance staff when there was a presidential visit to the St. Louis area. I had a low-level security clearance, giving me “proximity” to the president. In most cases I was a gofer who knew how to change the toner in the copy machine and could navigate the occasionally bizarre St. Louis streets when on an errand. I routinely worked with the press, the security detail and staffers, but meeting the president was never really a consideration. My job was to make his visit to St. Louis go smoothly. Then, hustling from the staff room to the press room, I found myself face to face with President Bush and his detail. I moved to the side, smiled and kept my mouth shut. Everybody seemed in a hurry. Everybody but President Bush that is. He stopped, introduced himself and asked me who I was. He thanked me for volunteering my time and introduced me to Barbara. I shook hands with both, mumbled answers that I am sure were incoherent and watched as they left. While I cannot remember what I said, I do remember what I thought. “The camera is not kind to Mrs. Bush. She looks younger and he looks older in person.” It is odd what you remember in these fleeting moments of surprise. But the larger impression of the Bushes has always remained with me. They were genuine people, appreciative of others and the efforts of others on their behalf. They had all the values we say we like, but do not always reward. They had personal honor, a work ethic, love of family and love of country. Barbara also had a wicked sense of humor, and that seemed to please her husband. With the history I presented at the beginning of this article, you might think that I am still a Republican. You would be wrong. I left the party when it left me by nominating the current president. I am not comfortable where I am, but neither can I be where I was. So, I am looking at my presidential medal and wondering, where is the next man or woman who I can respect the way I respected George H.W. Bush? President George H.W. Bush was a war hero. He was soft spoken, deferential and the antithesis of the braggadocio that seems to be popular today. Bush signed into law the Americans With Disabilities Act of 1990; he modernized the Clean Air Act; his negotiation with a Democratic congress to achieve a multi-year budget led to his famous need to raise taxes after saying he would not. Bush was a realist and understood the nature of negotiation means giving both sides something to hang their hat on. 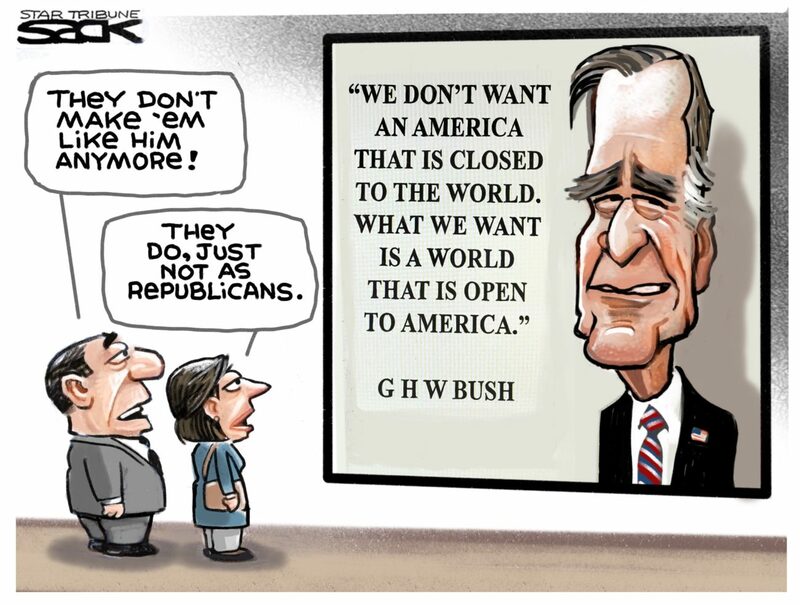 Bush was also a man of principle, whether that principle would hurt or help him at the ballot box. During the Gulf War, he stuck to the deal he had made with the United Nations and Congress and stopped hostilities without overthrowing Saddam Hussein, even when there was nothing between our forces and Baghdad but 100 miles of paved road. George H.W. Bush was a man of restraint, dignity and meticulous honor. America needs men like this, but we also need to learn how to appreciate men like this. God help America. God bless America. 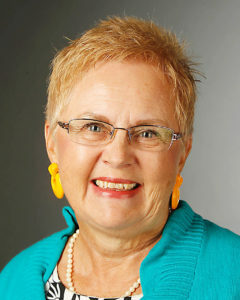 Louise Butler is a retired educator and published author who lives in Edinburg. She writes for The Monitor’s Board of Contributors.